On Jan. 21, 2017, millions of people across the world marched together in protest of the inauguration of Donald Trump. The one year anniversary of this event, Jan. 20, 2018, resulted in more turnout from citizens who are still disgruntled with the Trump Administration. The march this year came at a particularly timely moment, just as the #MeToo movement reached a fever pitch with regards to powerful men abusing women. However, many groups of people this year had a long list of things to march for: DACA; awareness of climate and environmental issues; inclusivity for LGBTQ+ rights; and the rights of people of color. According to the New York Times, more than 200,000 protesters attended the march in New York; 600,000 people marched in Los Angeles; 300,000 attendees marched in Chicago; not to mention the thousands of people that turned out in cities across the nation and world. Many speakers at the various marches urged women to run for office and the organizers of last year’s march focused their energy into a Las Vegas event called “Power to the Polls,” which served as a “rallying cry” for voter registration. Turnout this year was smaller than last, with space for runners and bikers available at the National Mall in Washington D.C., something that was impossible last January due to the crowd size. In addition, the 2017 Women’s March involved controversy over lack of intersectionality in its feminism, with many saying that the original name conceived for the march — the Million Woman March — was taken from the 1997 march in Philadelphia for “black women’s unity and self-determination,” according to an article in the New Yorker. An activist for Black Lives Matter interviewed by the New York Times said that the march is mainly for the straight, white, middle-class demographic of women, and “was not an effective way to dismantle oppression.” The name was changed to the Women’s March on Washington, but some groups of people that aren’t straight, white, and cisgender are still holding the march and its organizers accountable for its occasionally exclusive actions, despite being well-intentioned. Many believed that the march in 2017 was simply a moment rather than a movement, taking shape in the form of short-lived backlash against Donald Trump. However, in the past year, supporters of the women’s movement have been propelled to action. According to the New York Times, multitudes of women have taken to calling and mailing letters to their senators, voiced their intents to run for office, and educated themselves on issues that affect their fellow women and allies. 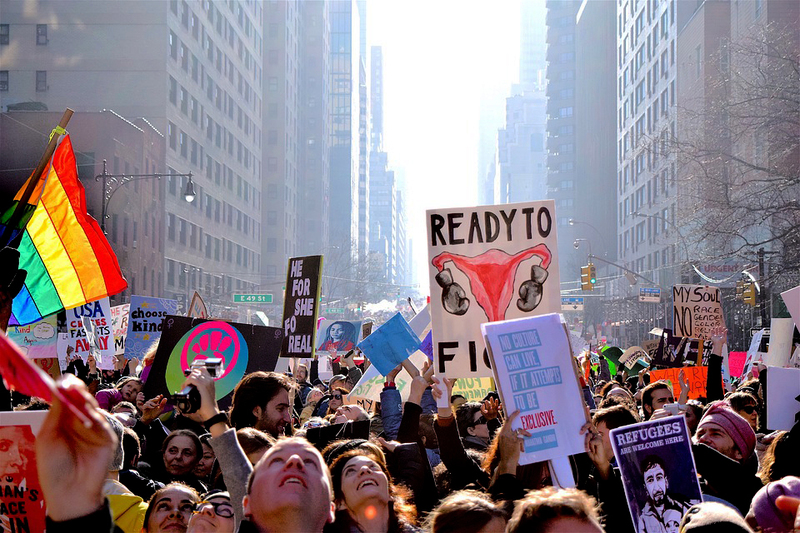 While a fully inclusive Women’s March seems to still be a while away, women everywhere are still united in the same idea: everyone deserves basic human rights and equality.